Users are waiting for USB 3.1 because of its ability to shuffle data between host devices and peripherals at speeds of up to 10Gbps (bits per second), which is two times that of the existing USB 3.0 protocol. 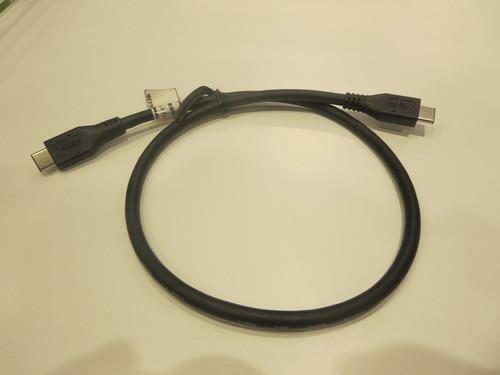 USB 3.1 is also known for its user-friendly Type C cable, which looks the same on both ends so users don't have to worry about which way to plug. But USB 3.1 technology may be overkill for thumb drives, which are inexpensive. The USB 3.1 chipset is costly, and that may discourage thumb-drive makers from adopting the technology, said Rahman Ismail, chief technology officer for USB Implementers Forum, at the MobileFocus Global event in Barcelona. Moreover, thumb drives are still limited in capacity and don't need the type of data transfer rates delivered by USB 3.1, Ismail said. He added that USB 3.1 thumb drives may become available once the manufacturing costs drop, but that could be years away. The largest flash drives based on USB 2.0 and USB 3.0 top 1TB in capacity. Nevertheless devices with USB 3.1 will be available in the first half of this year, said Jeff Ravencraft, president of the USB-IF. Existing products with USB 3.0 ports won't be able to take advantage of USB 3.1 speeds, Ravencraft said. So if users buy an external storage drive with a USB 3.1 port, they will need to buy a PC compatible with the new data transfer technology. USB 3.1 will eventually be in TVs, monitors and other peripherals. Many existing protocols like MHL and DisplayPort will piggyback on USB, which will enable video playback from mobile devices and PCs on large-screen displays.